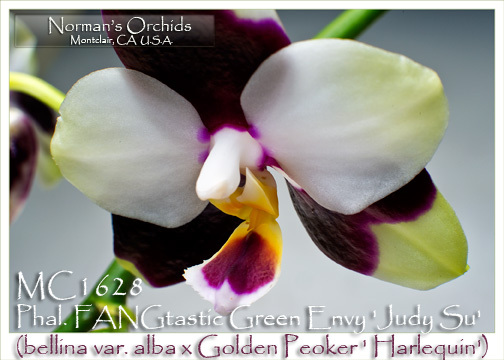 Recently debuted for the first time on a Facebook page, this is THE hybrid which sent “Phal Phanatic” hearts racing around the world ! 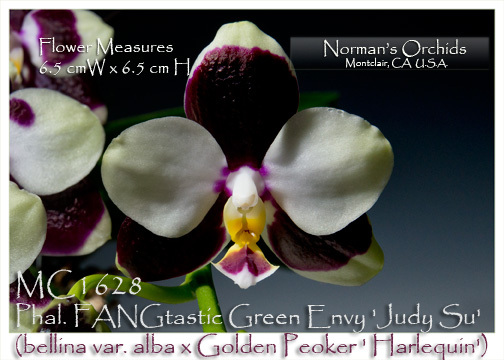 We now have a very limited supply of Stem Propagations of our stunning new hybrid, all produced from an original keiki, to assure a perfect duplicate of the parent plant. 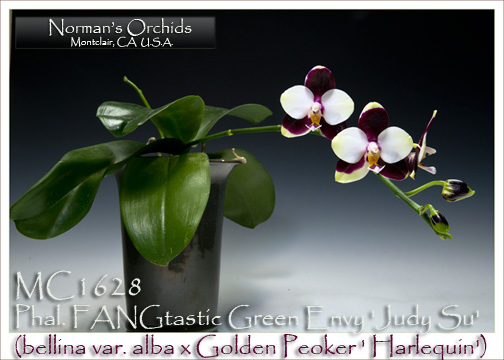 The pollen parent, Phal. 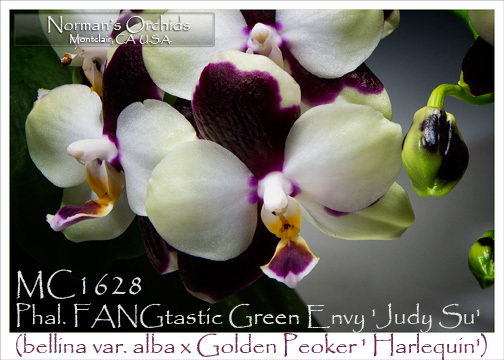 Golden Peoker ‘Harlequin’, is the result of an F2 population from the famous and highly awarded Phal. 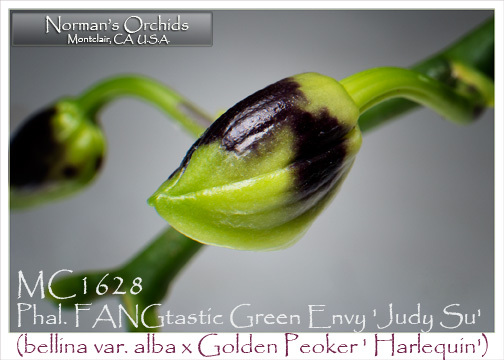 Golden Peoker ‘Nan Chao’ AM/AOS. The pod parent, Phal. bellina var. 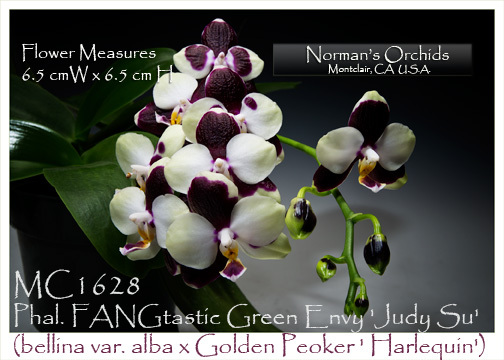 alba, has given it the wonderful sheen and color of Phal. bellina var. alba. The resulting hybrid carries the best of both parents, with the green influence coming from the pod parent and the dramatically bold and well-defined harlequin accents from the pollen parent. 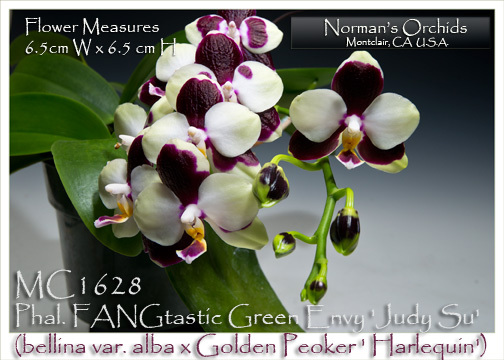 A compact grower for its type and breeding, it can produce keikis due to the influence of its Phal. bellina var. alba parentage. 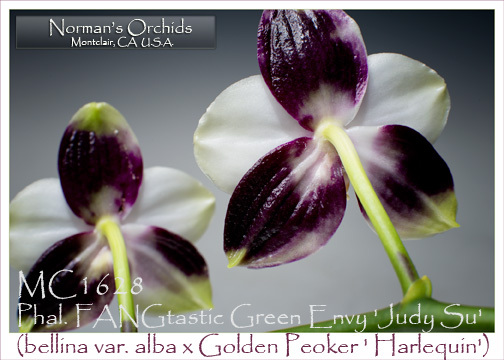 A true Collector’s Dream for breeding and exhibiting, these Stem Props are in very limited supply. Extremely and Highly Recommended !